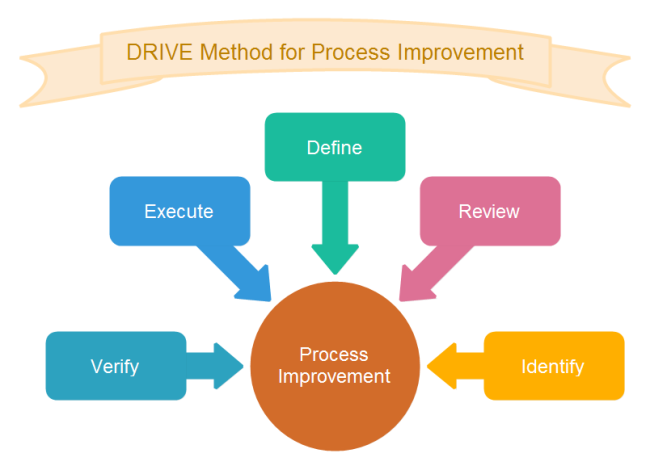 Description: This colorful diagram shows the DRIVE method for process improvement visually. Drive stands for: Define, Review, Identify, Verify and Execute. Click here for further reading about DRIVE method.